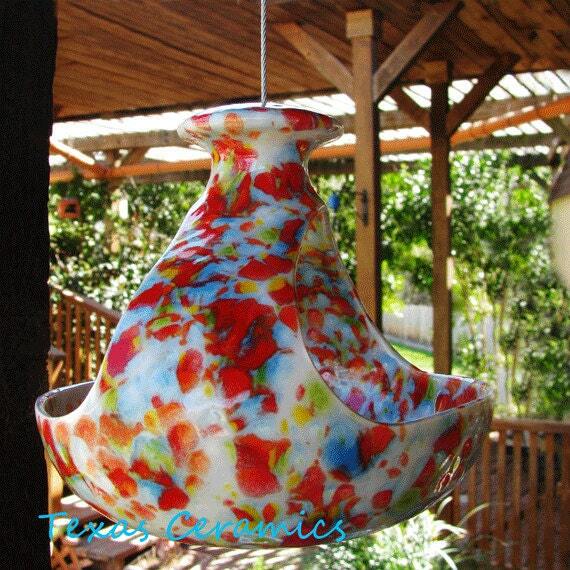 This is a new colorful hanging fly through bird feeder has a retro style. 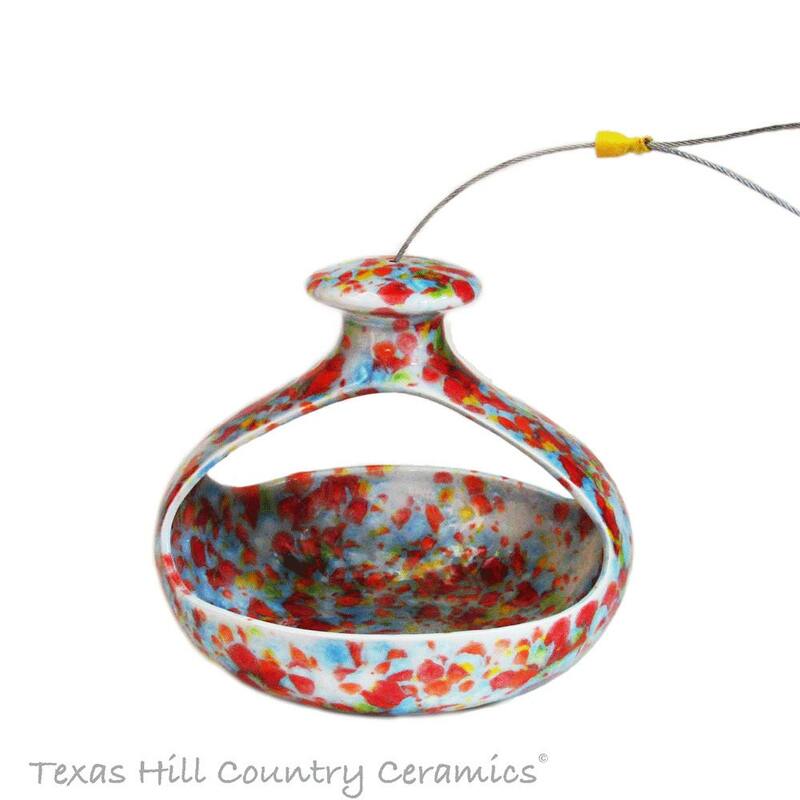 The all season bird seed bird feeder is made of ceramic earthenware that has been completely glazed with bright colors making it water proof. Great for gift giving to any bird lover, Mother's Day, Father's Day or birthday. Each side of the feeder is open (birds can fly through), the opening is 5 inches wide x 3 inches tall, the clay between the openings is approximately 2 inches wide. The feeder will hold a generous amount of bird seed, just fill and watch the birds have a feast. 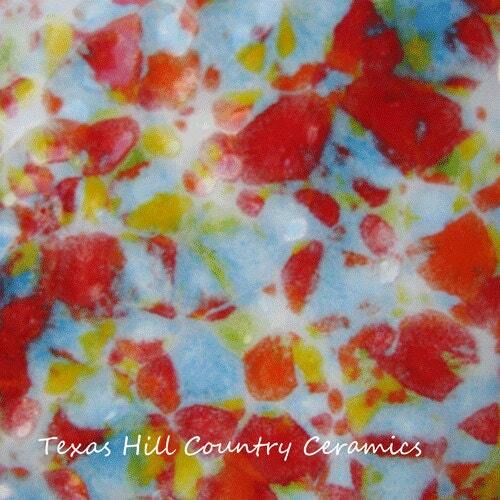 Ideal for hanging in a tree or on the porch or balcony of your condo or apartment. 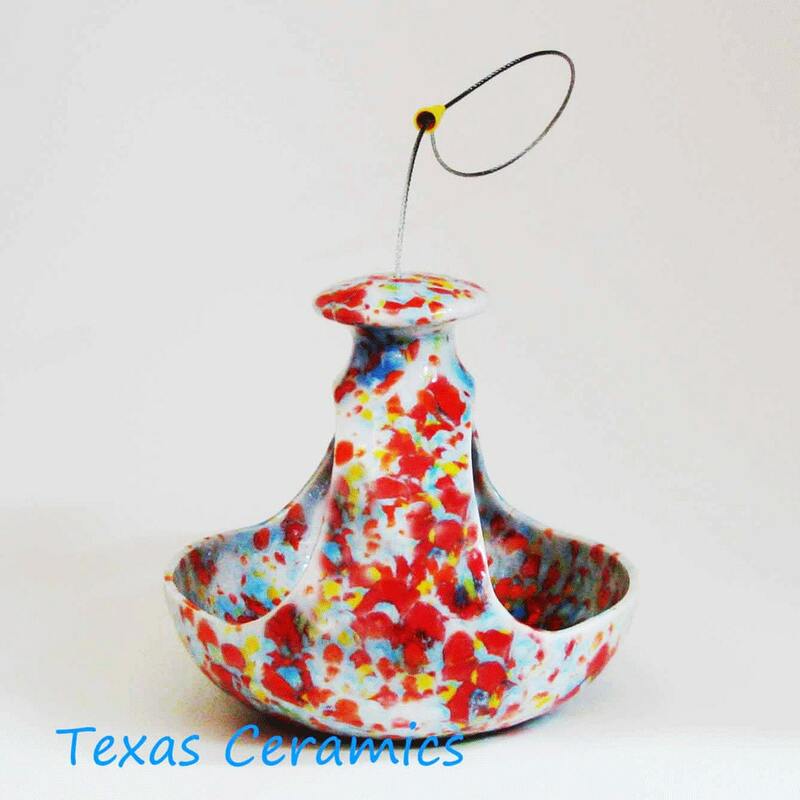 I used a vintage ceramic mold to create this feeder, the feeder hangs from a strong steel cable hanger, there is a hole at the top of the feeder where the cable slides through. This new and improved strong steel cable hanger never needs to be replaced. Please Note: Variations are to be expected as part of the charm of the handmade piece. The feeder can also double as a planter for ivy or any trailing plant. The steel cable hanging cord is approximately 9 - 10 inches long, the loop at the top is large so hanging it on a hook is easy. The steel cable is very sturdy and never needs to be replaced. This feeder will arrive ready to use. This bird feeder will arrive in a beautiful white gift box - great for gift giving. 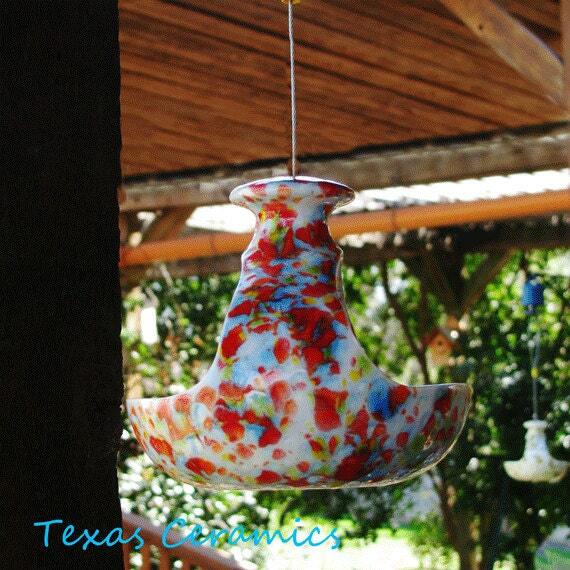 Due to the type of glaze used the placement of the colors vary on each ceramic bird feeder. The bird feeder is beautiful. It arrived on time and looks great. Perfect wedding gift, quick turn around!